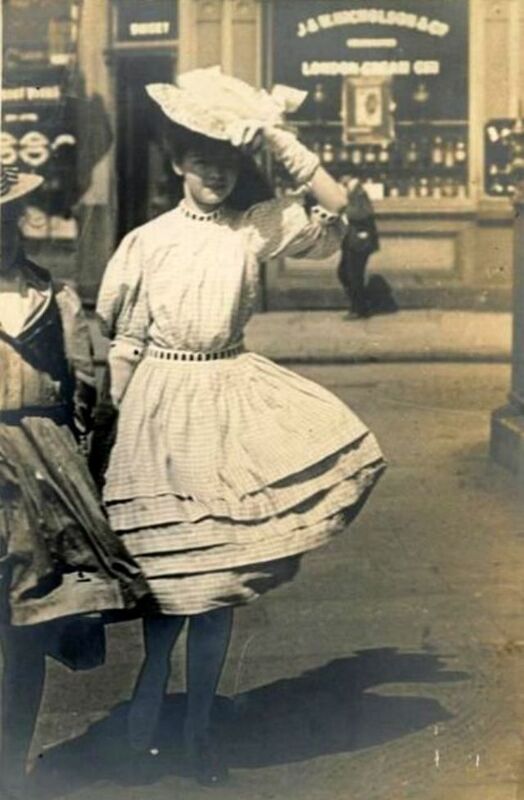 The previous century had produced crinolines, bustles, polonaises, dolmans, abundant frills and furbelow's of every description; but the new century, at the height of the Belle Epoch (beautiful era) was bowing to simplicity and to common sense, and, though details were still elaborate, fussy trimmings and unnatural lines were gradually being abandoned. 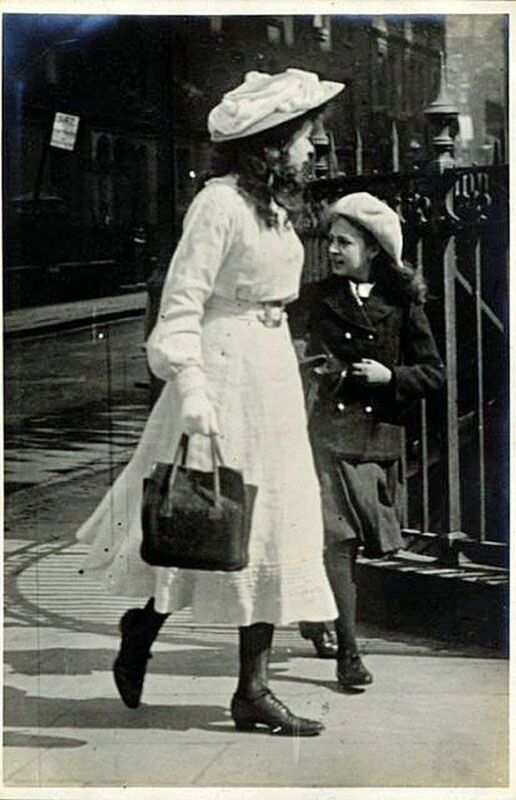 This trend of simplicity was enormously intensified and sped up by the The Great War, which clearly established two great principles in women's dress: Freedom and convenience. 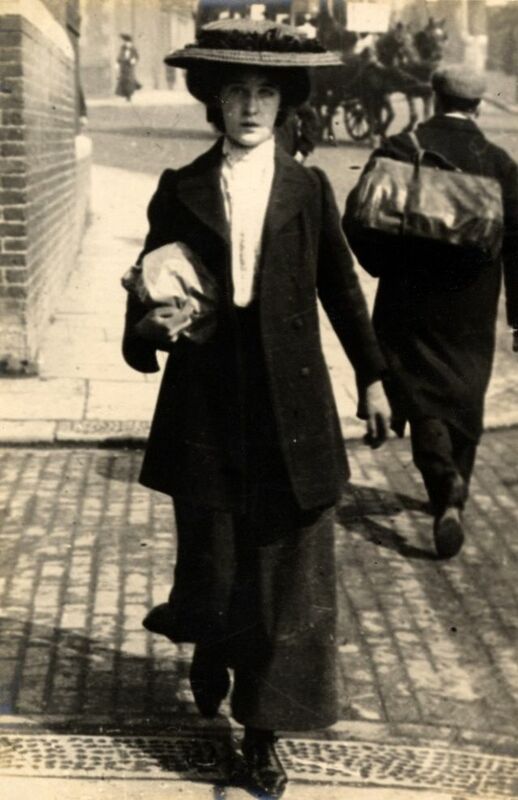 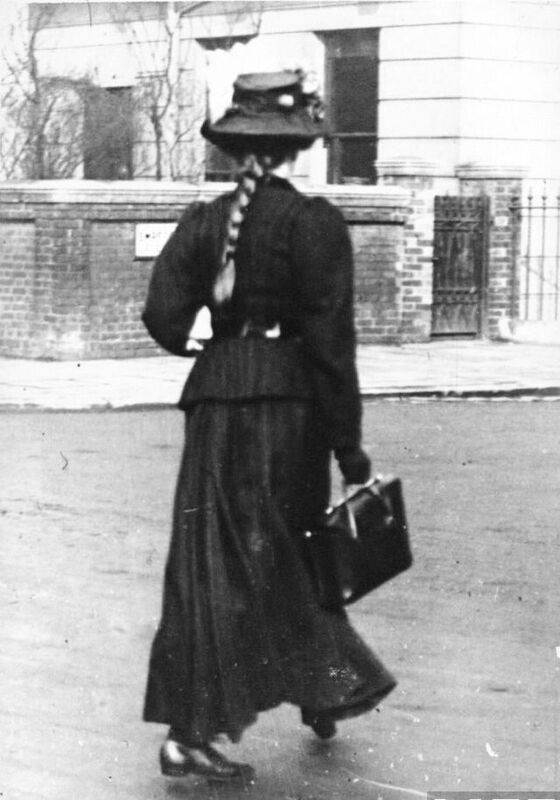 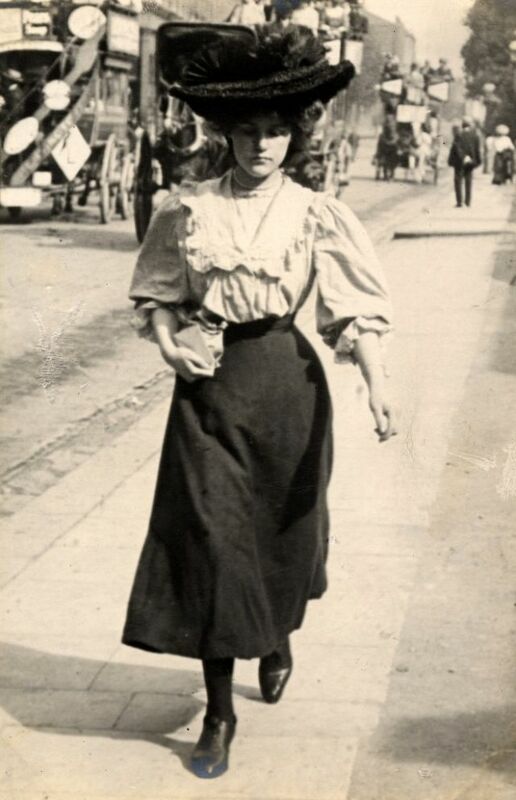 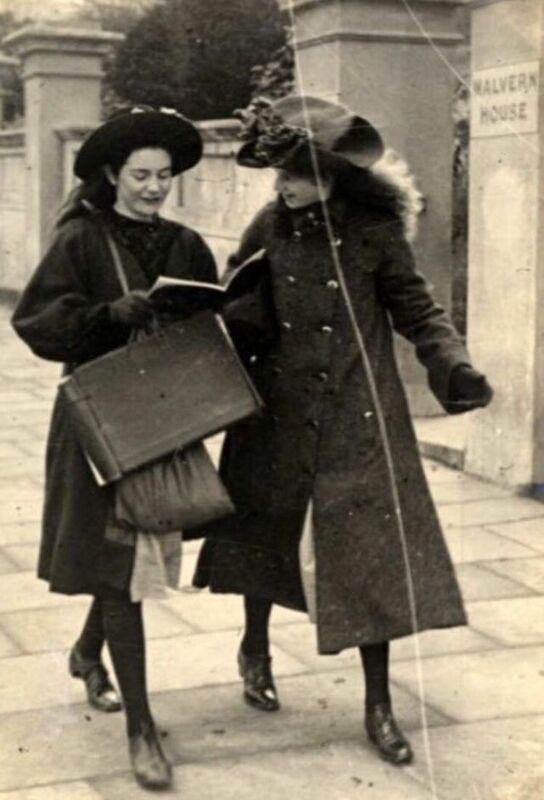 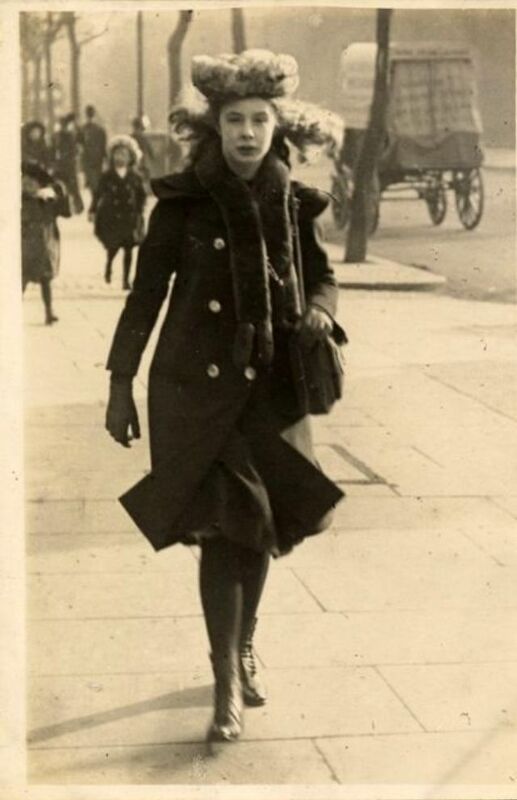 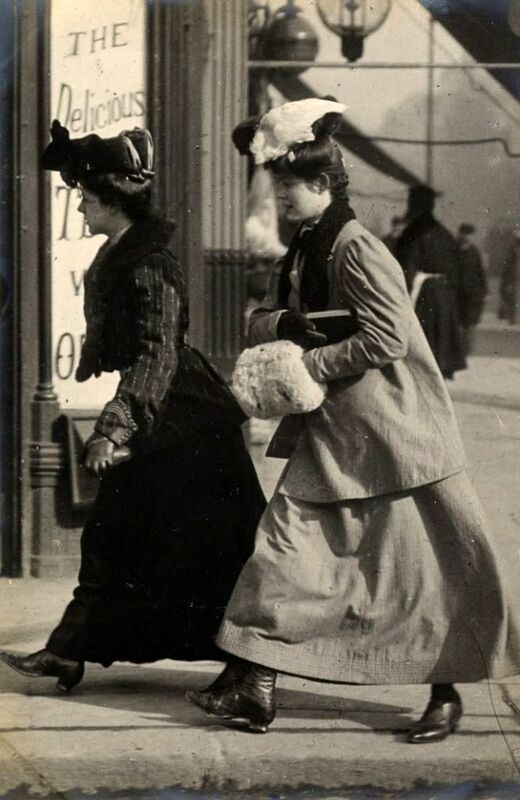 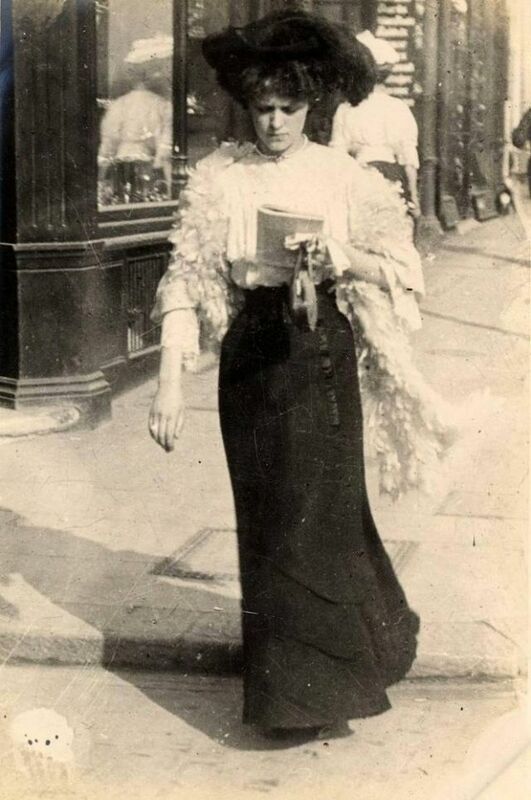 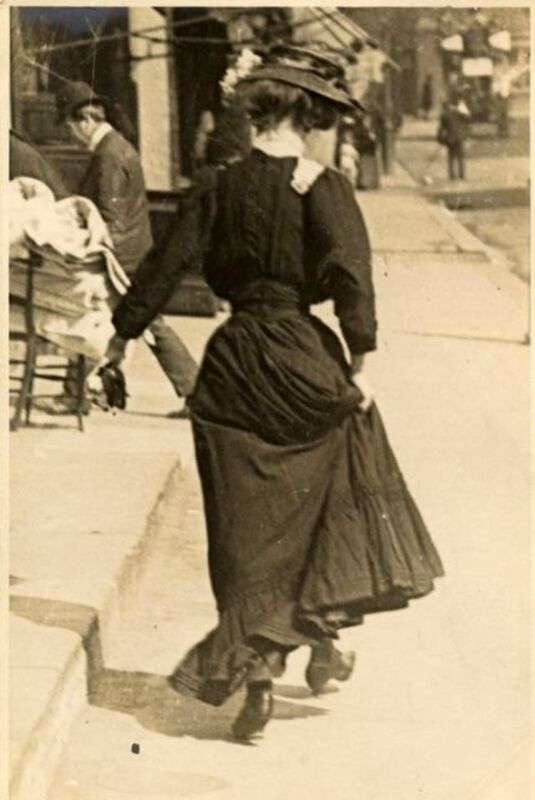 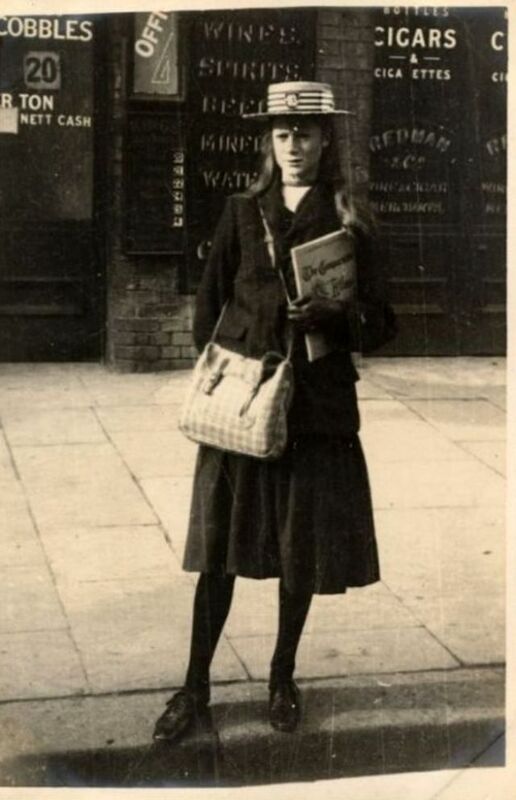 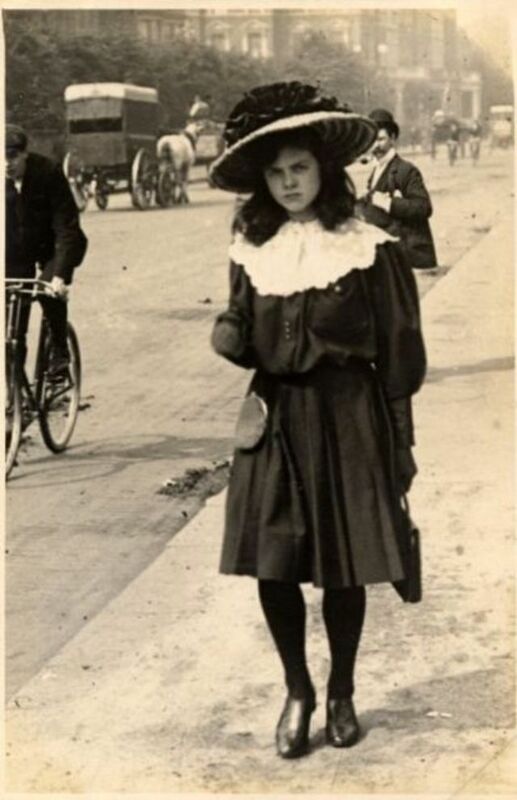 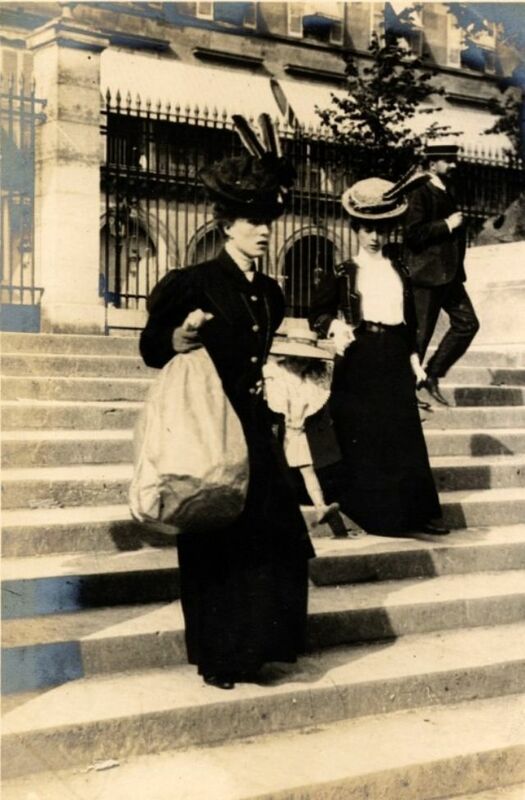 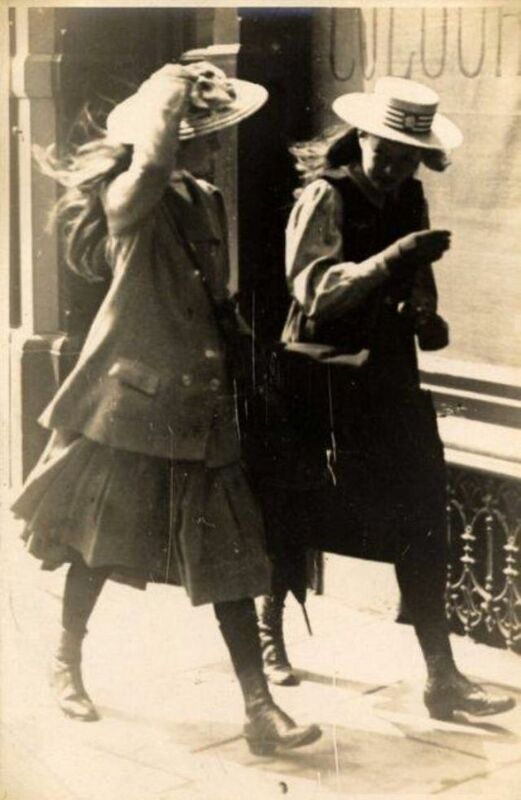 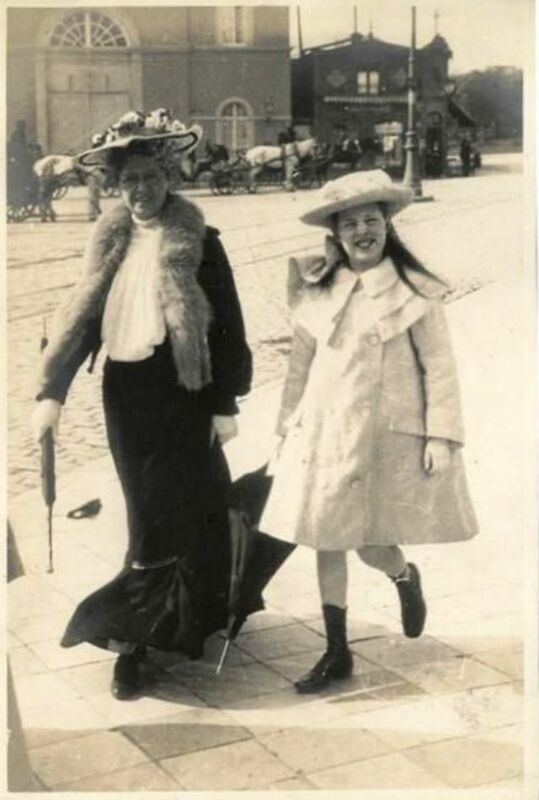 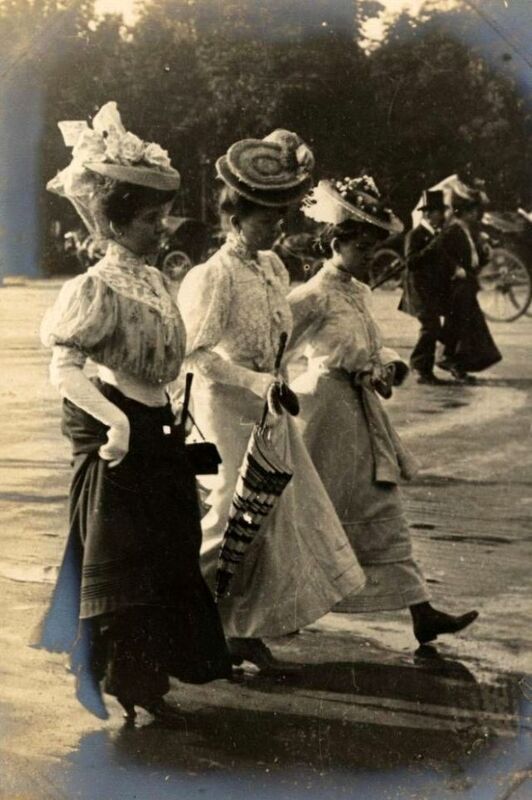 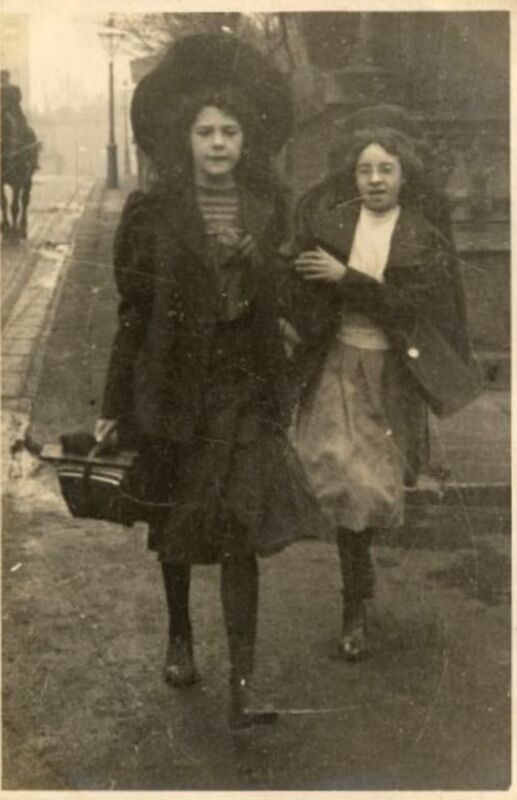 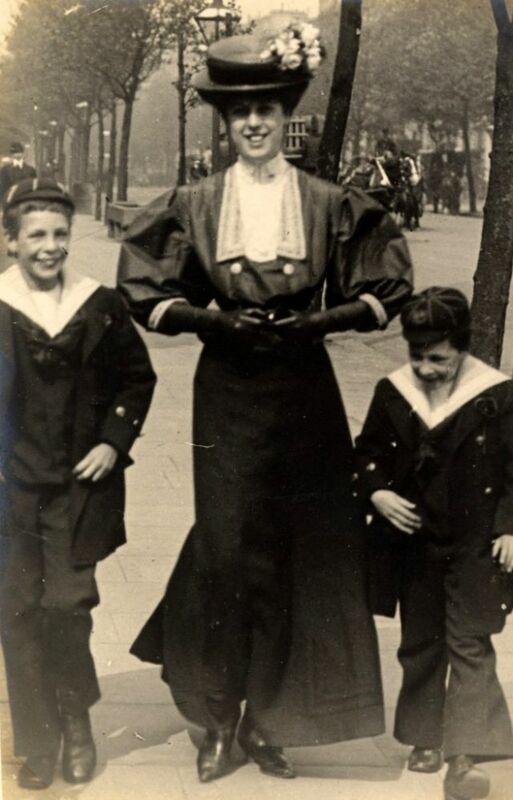 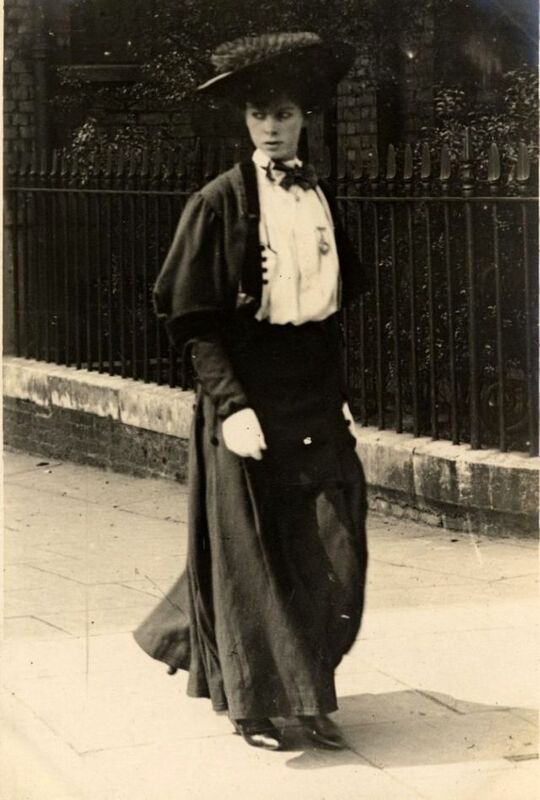 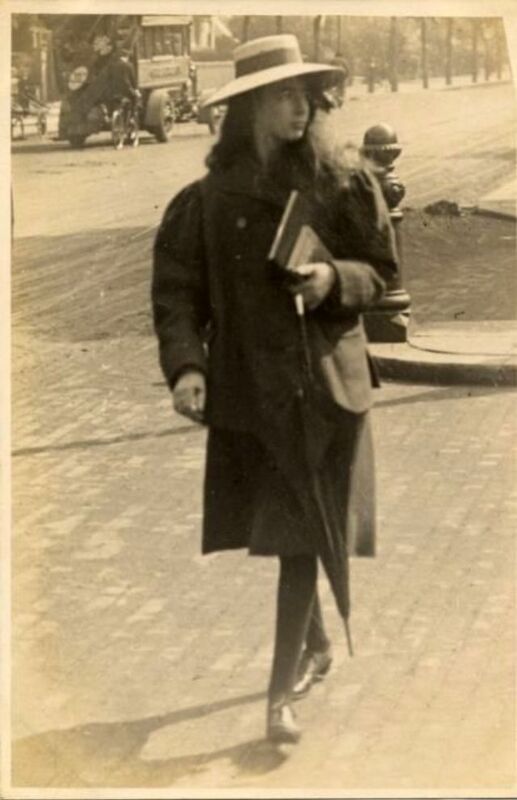 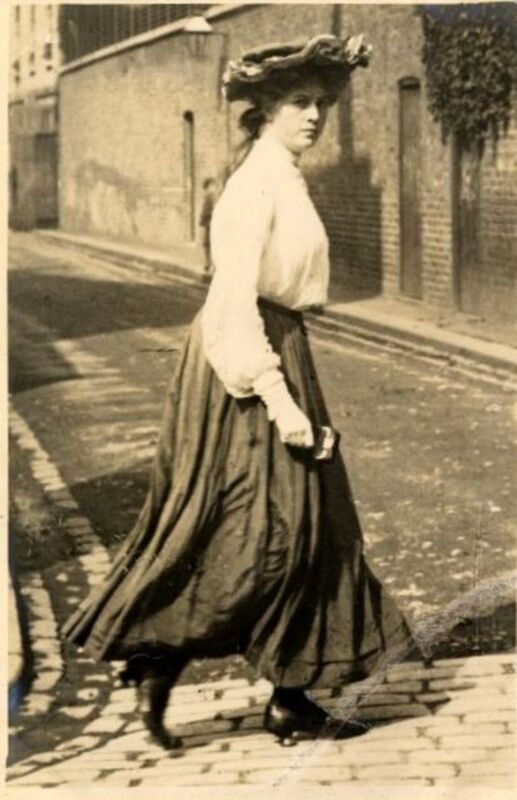 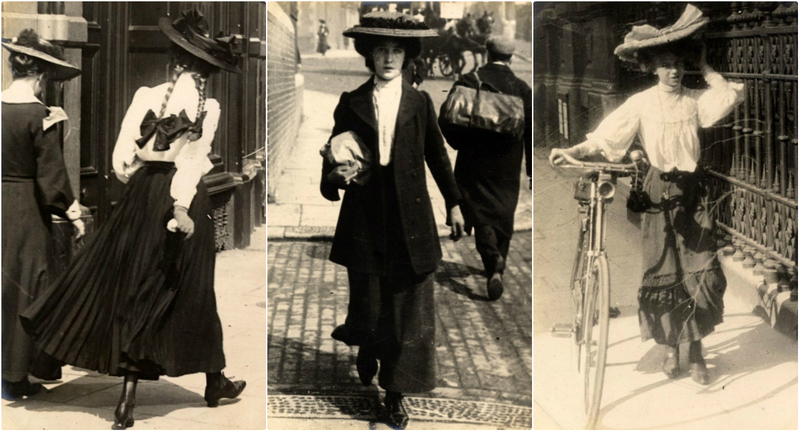 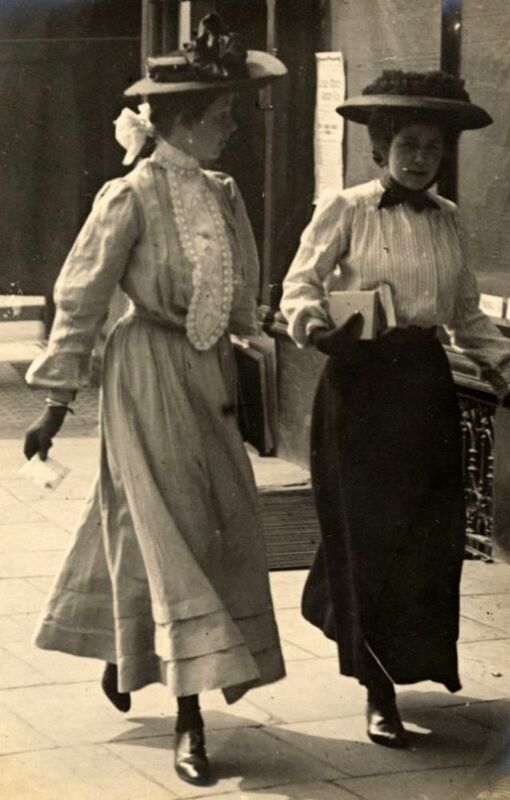 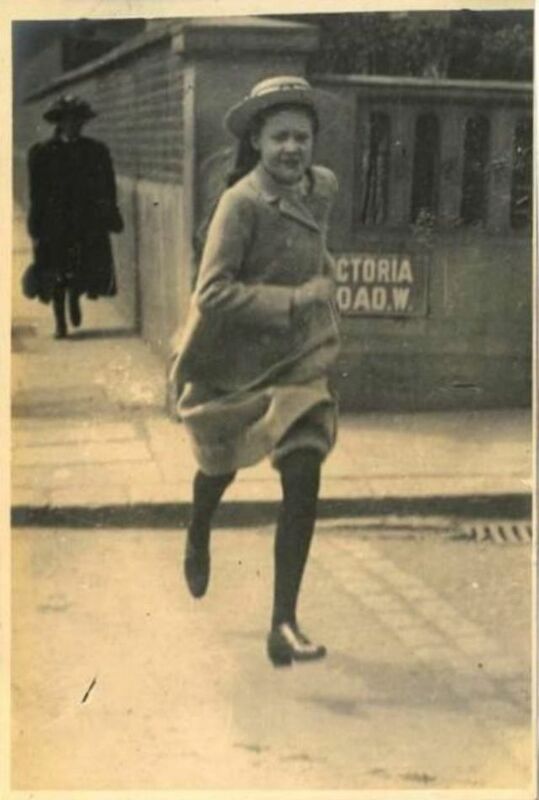 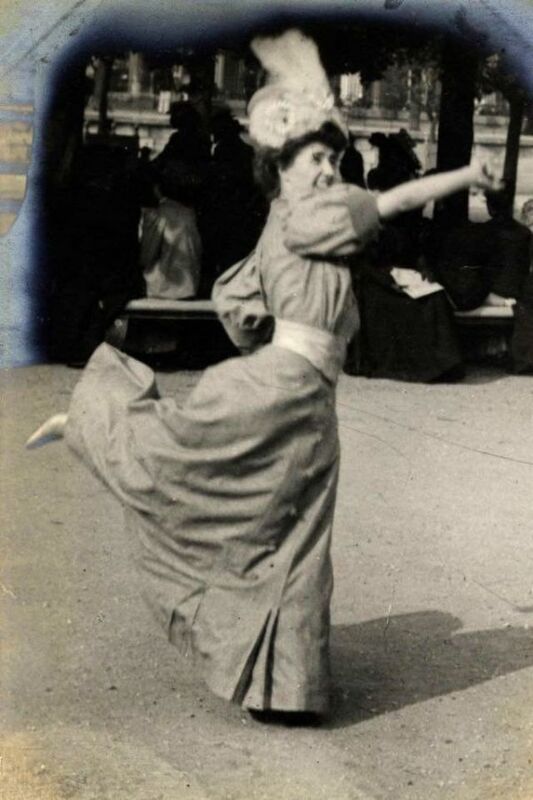 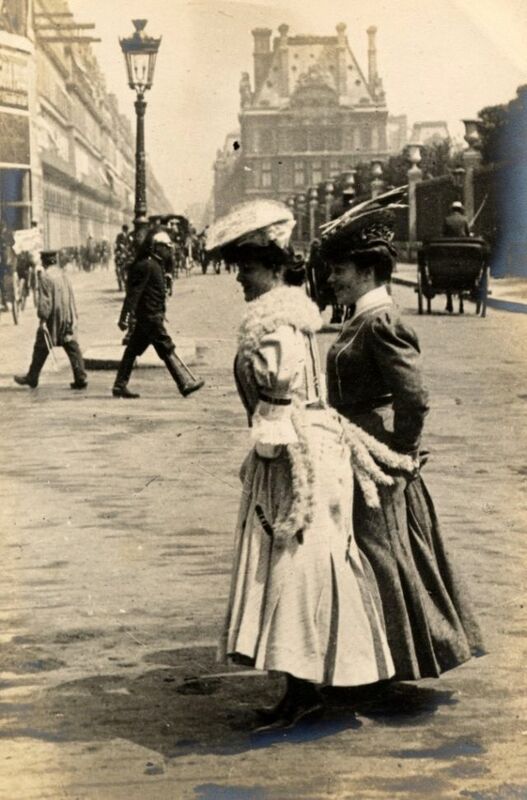 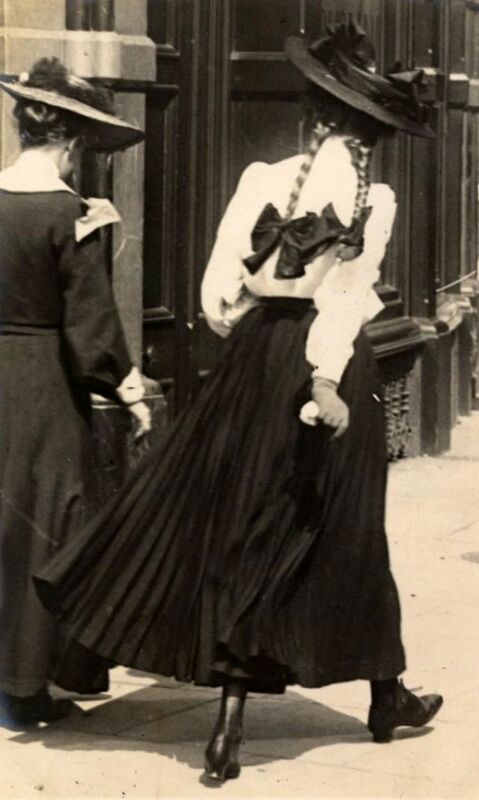 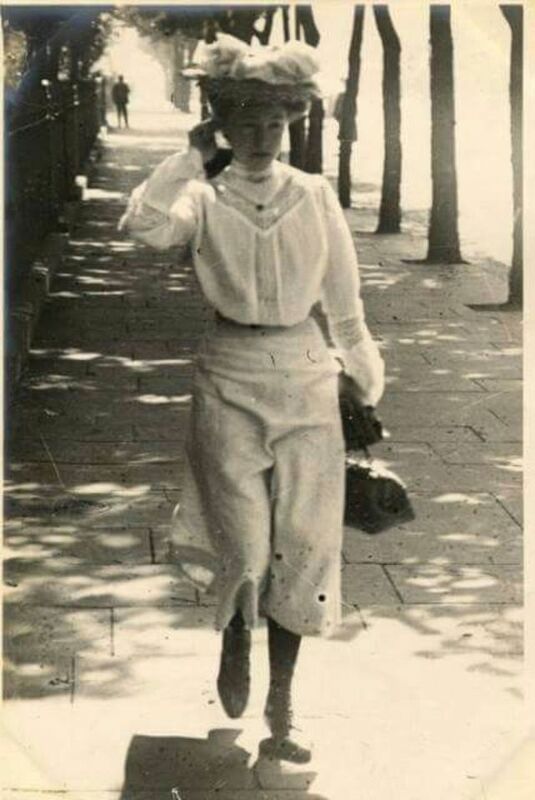 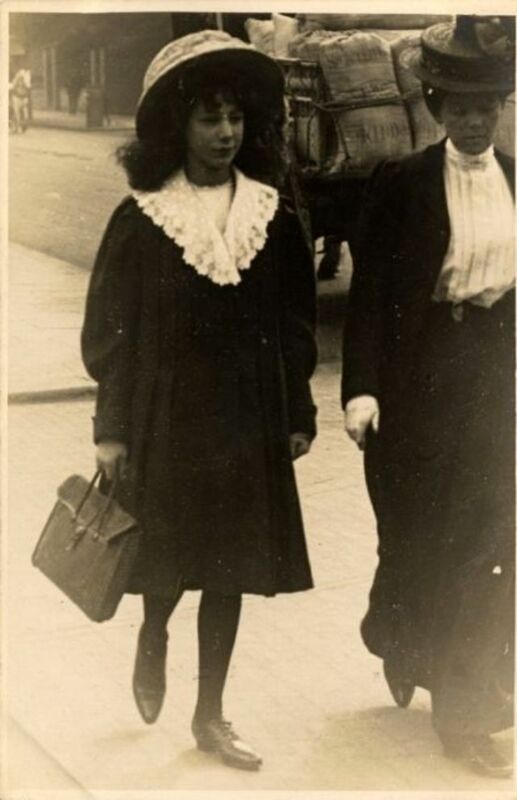 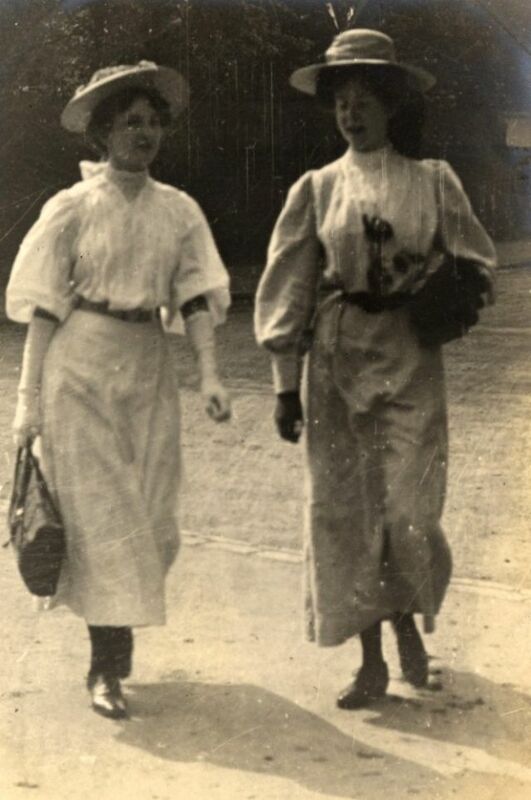 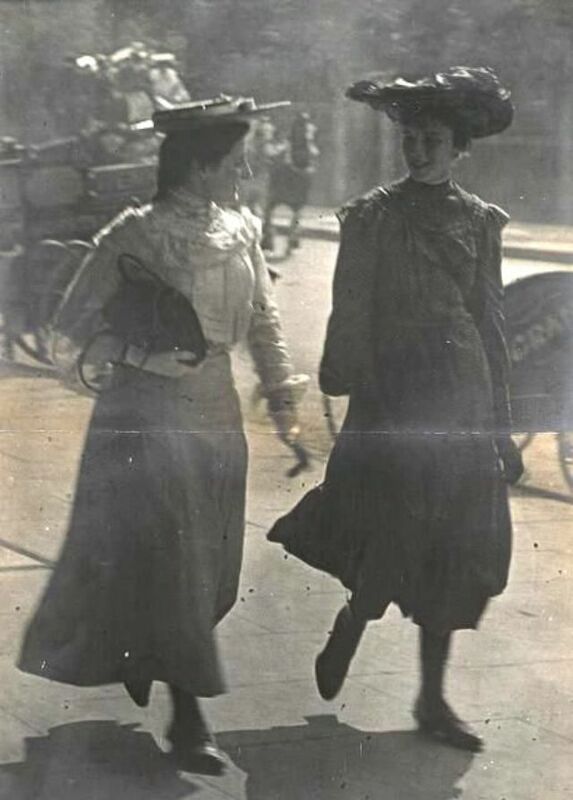 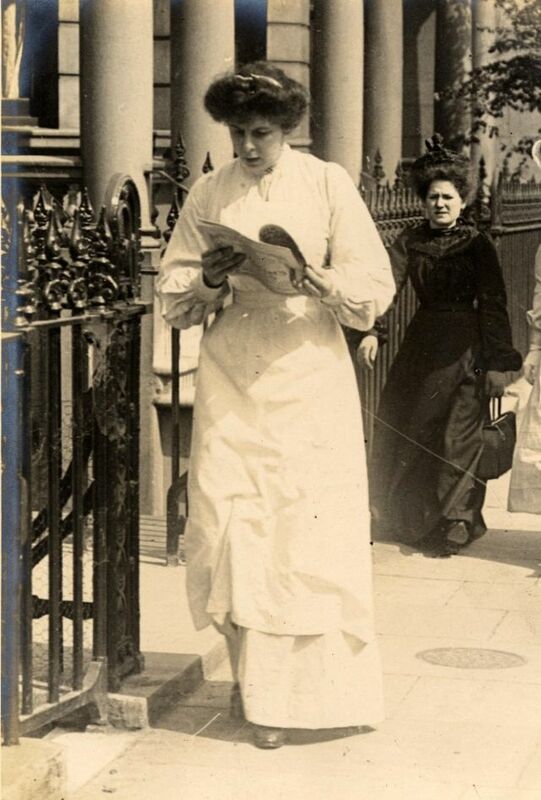 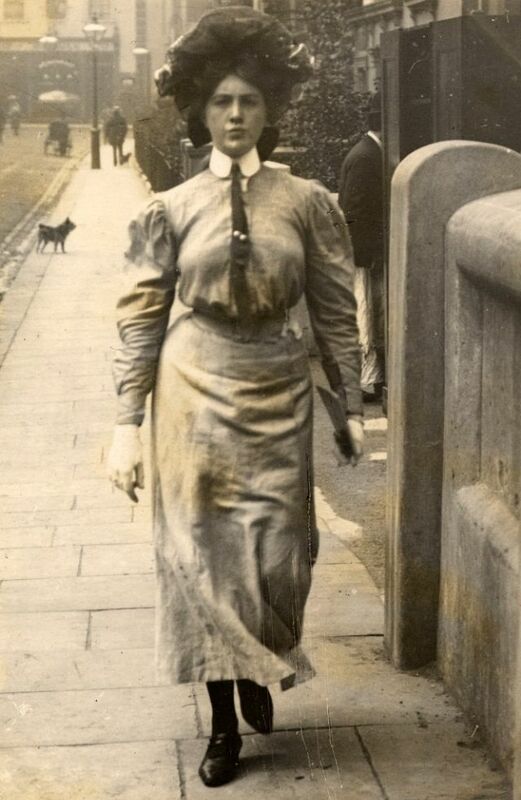 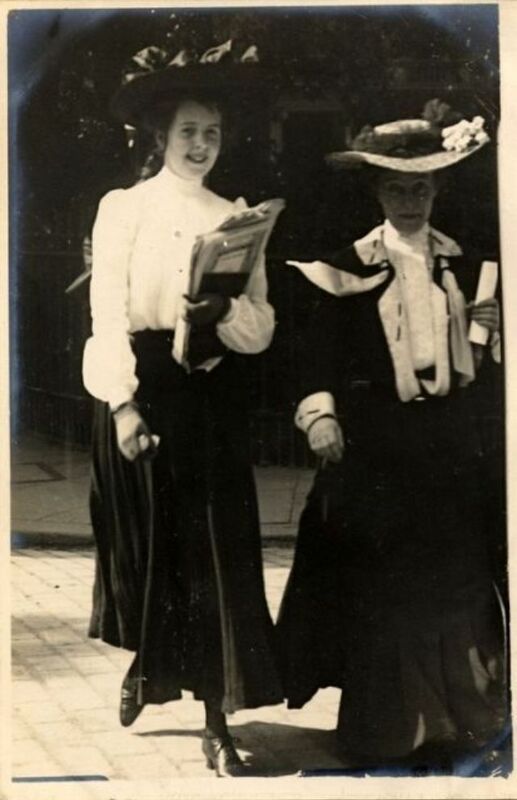 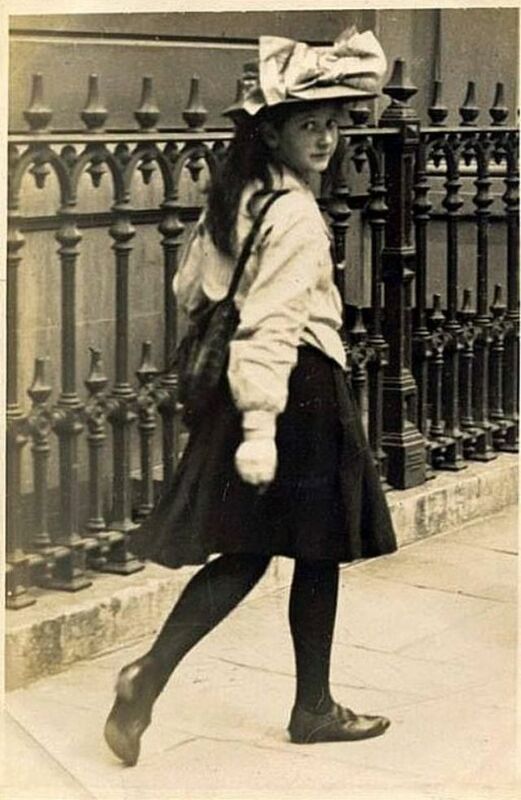 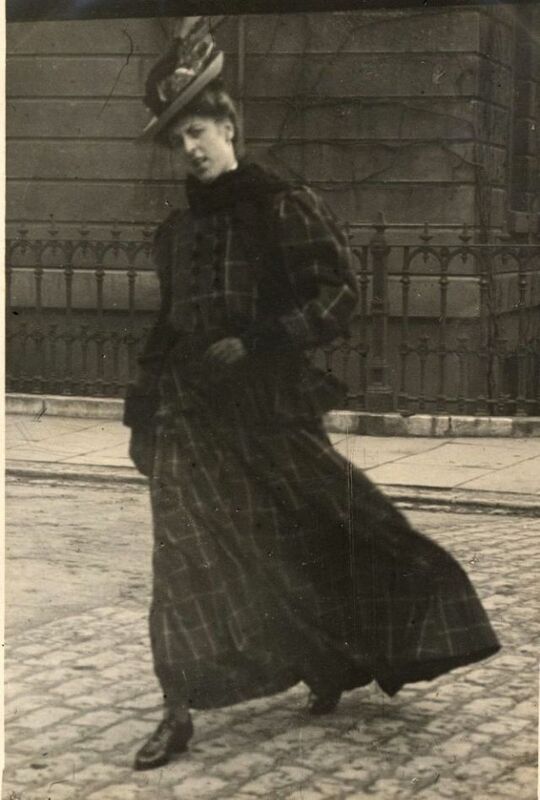 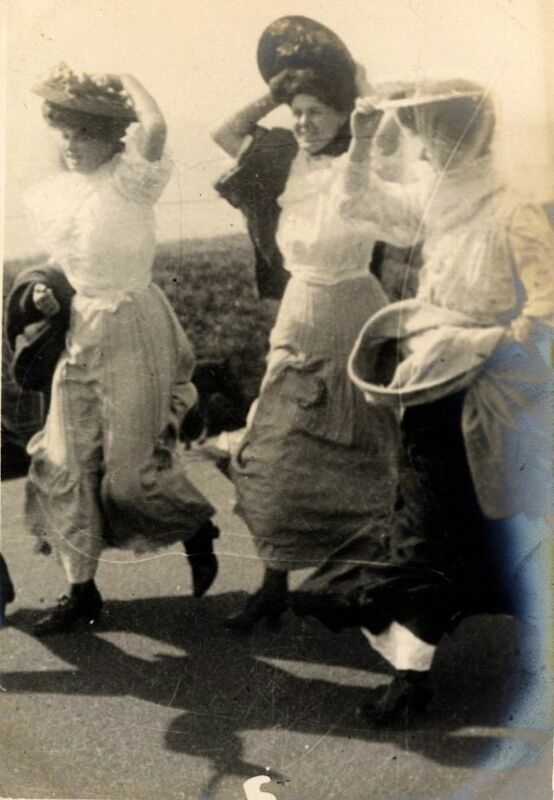 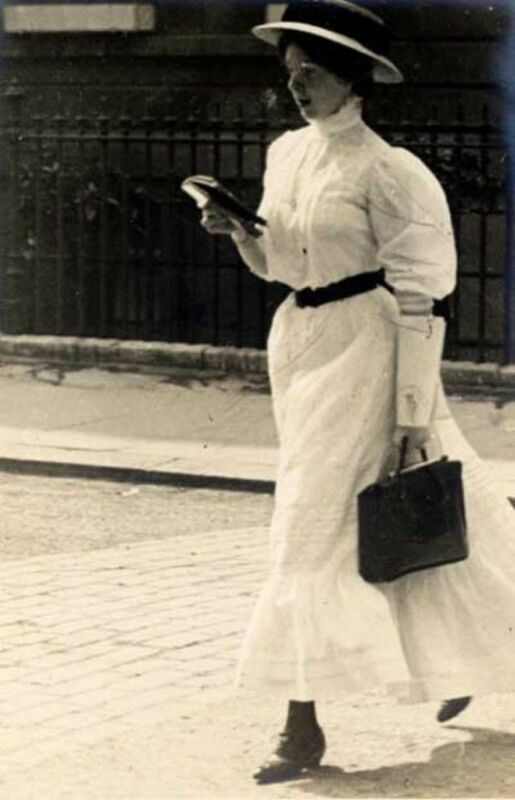 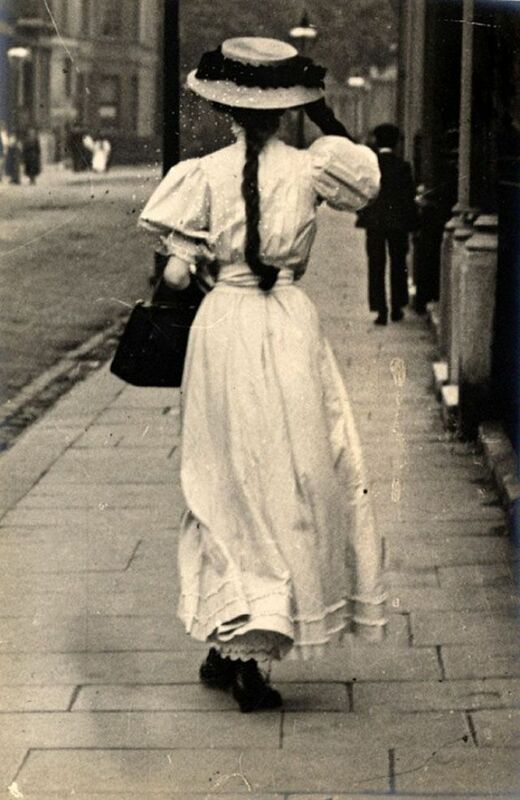 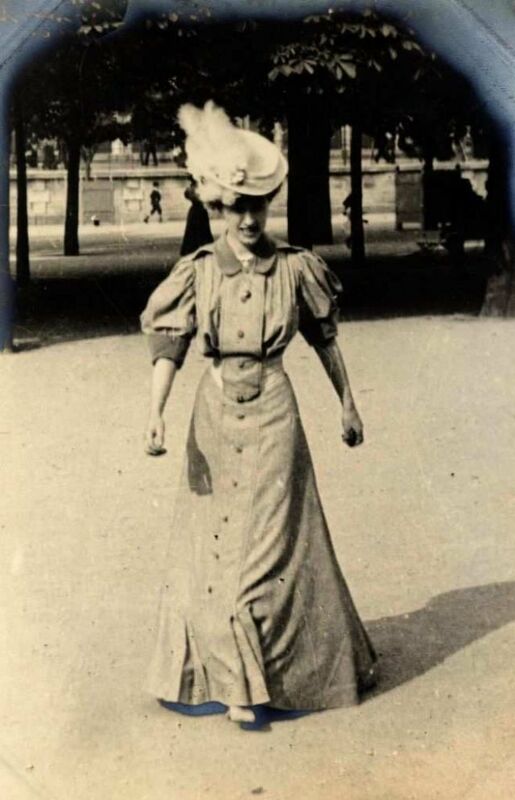 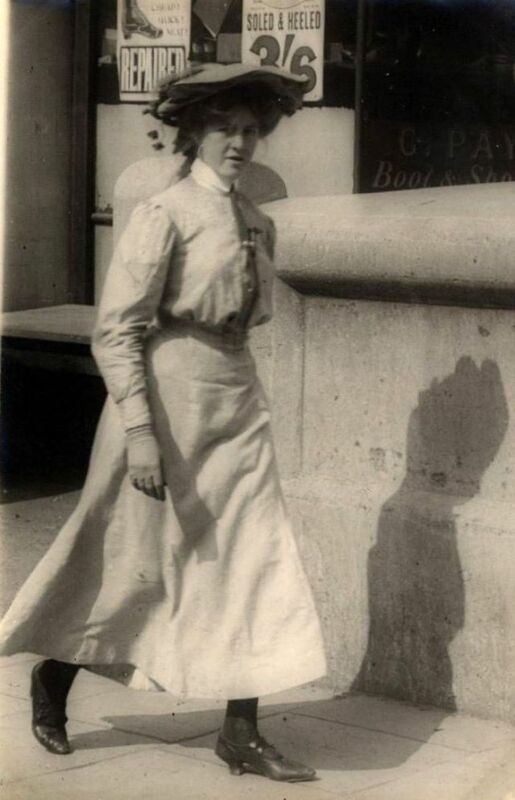 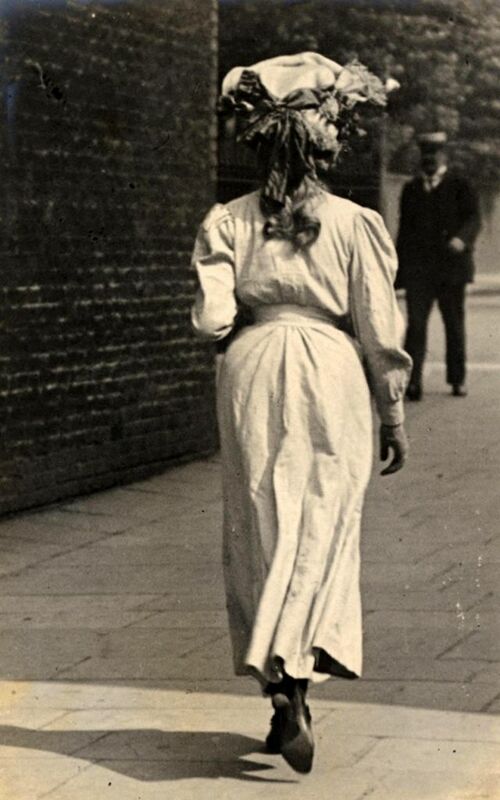 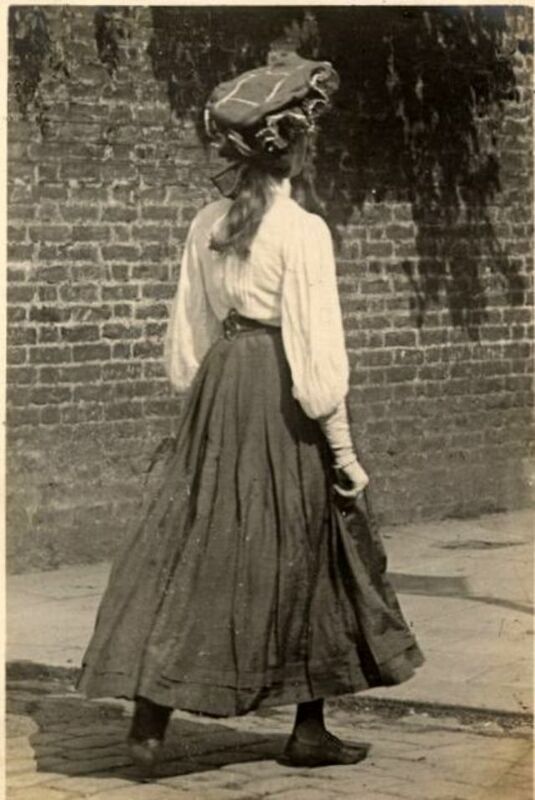 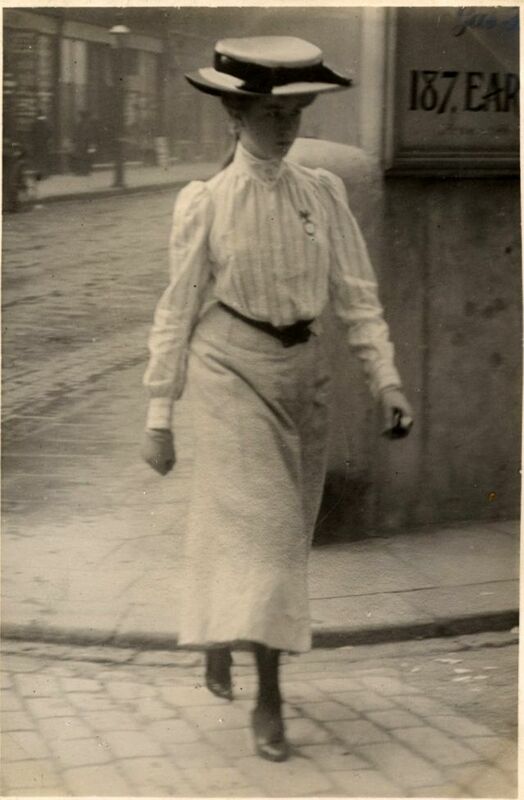 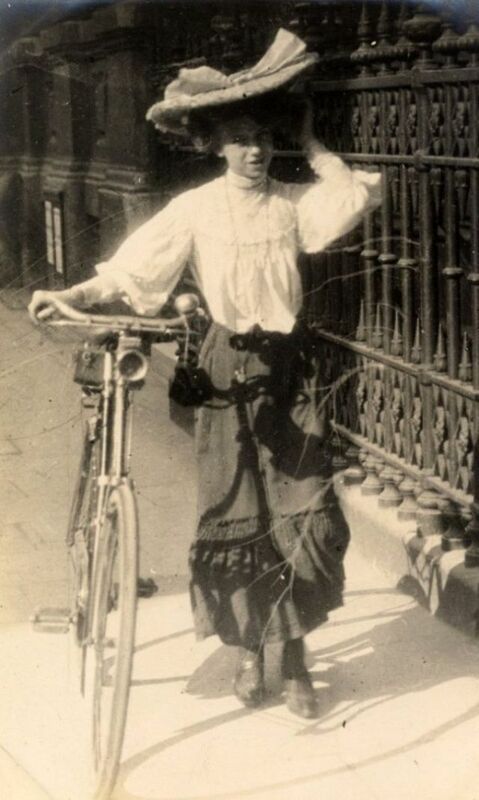 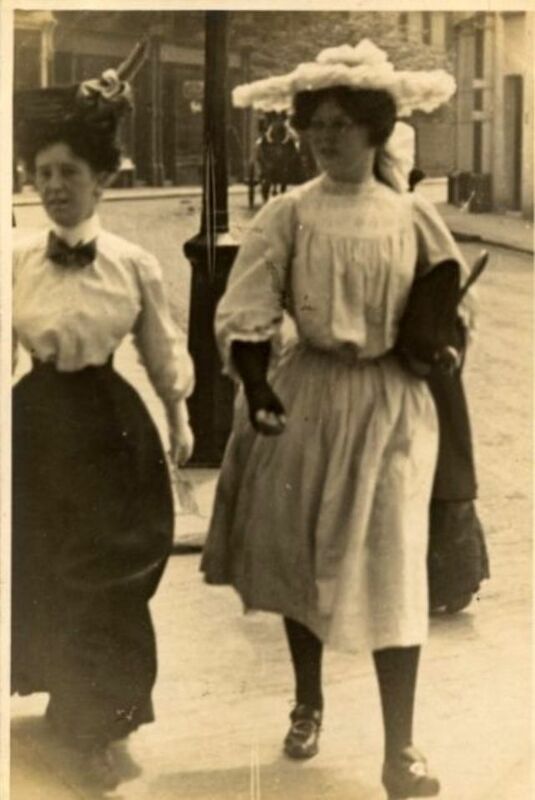 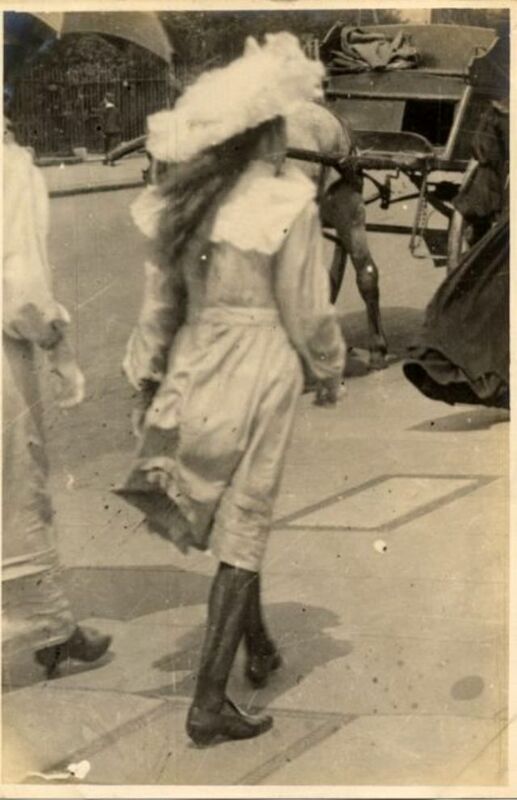 These cool snaps that show how street fashion of Edwardian women was like.